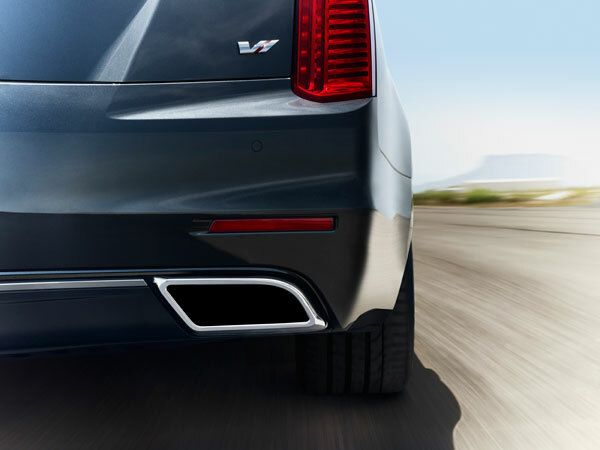 The 2014 CTS-V Sedan brings drama to the road with dynamically cut angles and beautiful exterior lines. Dual-Outlet Exhaust reminds everyone that sees the sedan of the power laying just under the hood, while the stop lamp functions as more than a warning—it also acts as a spoiler to reduce lift on the rear axle at high speeds. If you think the 2014 CTS-V Sedan is attractive on the outside, just wait until you see what’s under the hood. The 6.3-liter supercharged V8 produces 556 horsepower with 551 lb-ft of torque, making driving your friends around in style even more fun than ever before. It comes standard with six-speed manual and rear-drive, but a six-speed automatic is also a no-cost option. 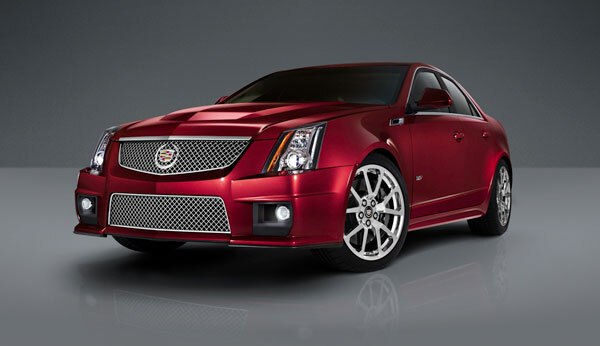 With this powertrain, the CTS-V is able to reach 60 from a standstill in an impressive 4.3 seconds. EPA-estimated fuel economy for the car is 16 mpg combined for the manual and 15 combined for the automatic, making gas station stops pretty frequent—but who can say no to that kind of power? What the 2014 CTS-V Sedan is missing in lavishness, it makes up for in quality and roominess. With just as much head- and legroom as most of the sedans in the midsize class, everyone can fit comfortably within the cabin while enjoying the attractive layout of gauges and controls. According to the Insurance Institute for Highway Safety, the CTS-V is a top student, receiving the highest possible rating of “Good” in the moderate-overlap front impact, side-impact, and roof strength crash tests. The 2014 Sedan comes standard with OnStar and all its services, rear parking sensors, and a rearview camera. 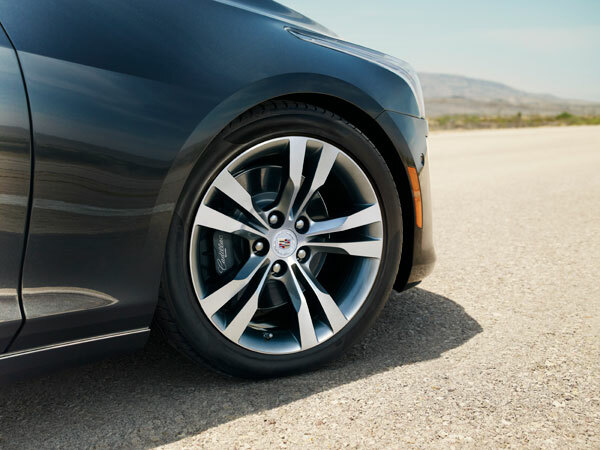 Antilock disc brakes, stability and traction control, front-seat side airbags, and side curtain airbags are also standard on every CTS-V.
Huber Automotive is proud to be the select Omaha, Nebraska area Chevrolet and Cadillac dealer. Our dealership provides Chevrolet and Cadillac vehicles, service, and certified Chevrolet and Cadillac parts to all surrounding cities including Elkhorn, Chalco, Ralson, La Vista, Papillion, and more. Our dealership carries an extensive line of new, used, and certified Chevrolet and Cadillac cars, trucks, minivans, and SUVs.